This recipe is inspired by the salmon from Blue Apron Delivery that I received a few weeks ago. Even my husband who normally dislikes salmon approved , so I decided to recreate it at home using a nicer more luxurious fillet! Looks like a fancy and impressive meal but is ready in 20-30 minutes. 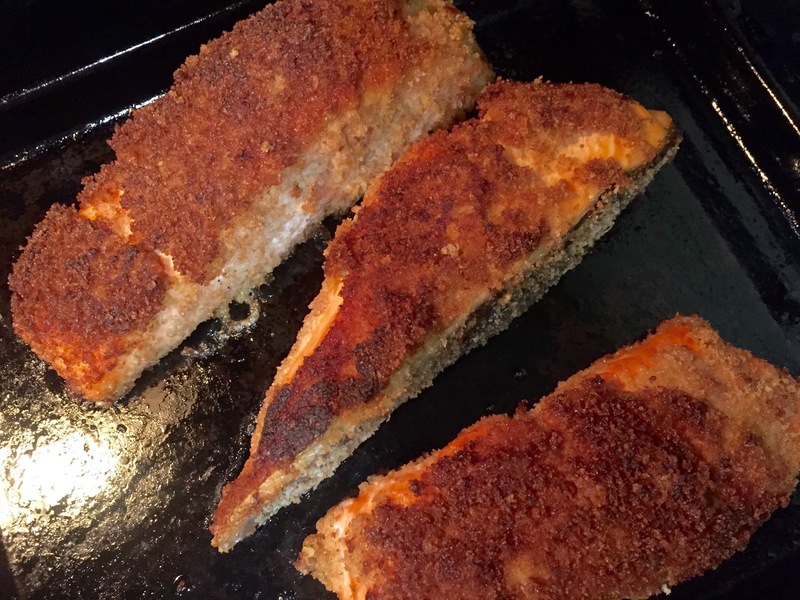 I used wild king salmon fillets but regular salmon fillets will work just as well. Note that cooking time will vary based on thickness of the fillet. Wash and pat dry salmon fillets. Add salt and pepper to taste on both sides. Heat your skillet. While skillet is heating, spread dijon onto the salmon side that does not have skin. Dip in panko, first mustard side down then the other side. Into a hot skillet with oil, add salmon mustard/skin free side down. Cook 2-3 minutes on that side and flip over. Cook another 2-3 minutes. Since the salmon fillets I was using were thick, I finished them off in the oven for an additional 15 minutes at 350. If your fillets are thinner, you can omit this step. 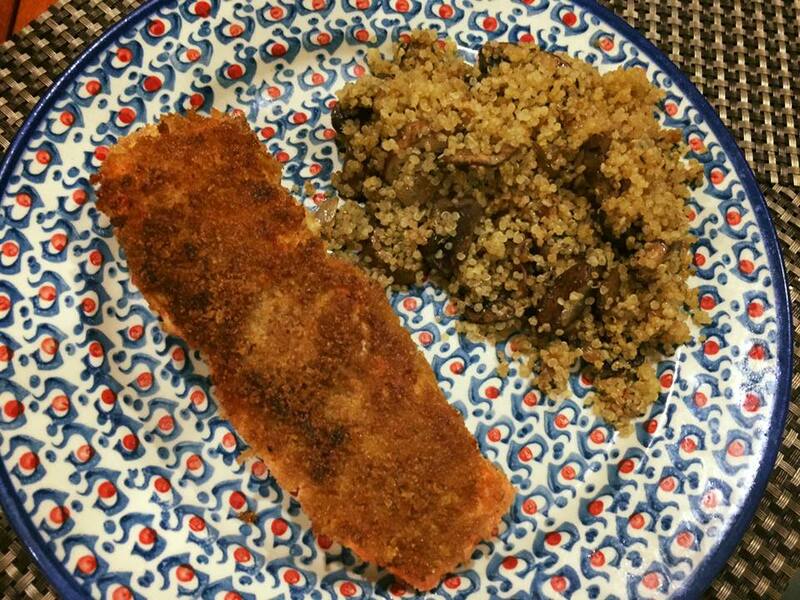 I served the salmon with a side of quinoa topped with sauteed mushrooms and shallots for a tasty meal! Leave me a note in comments to let me know what you think.